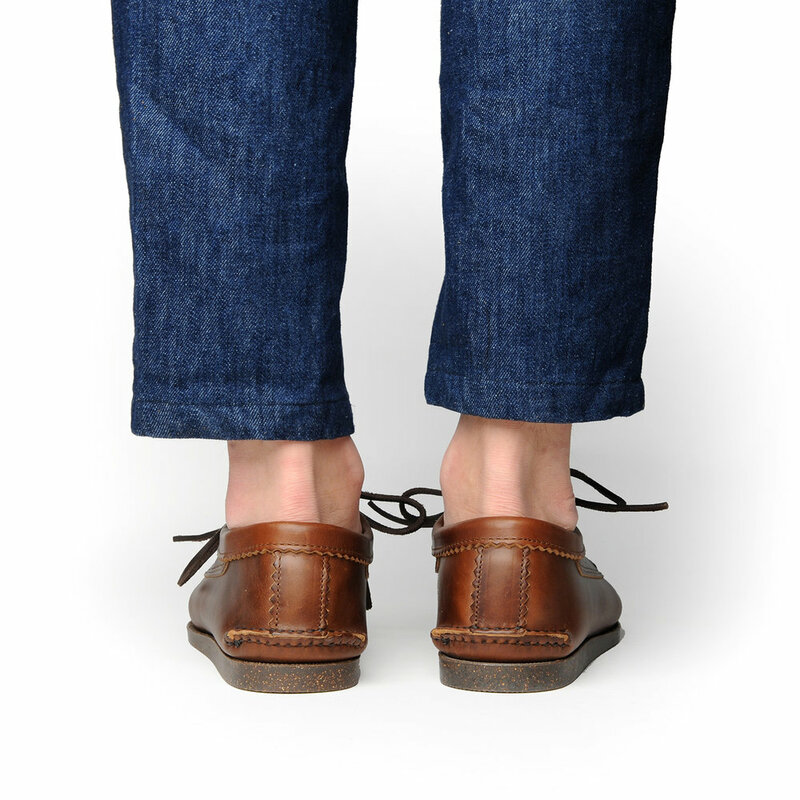 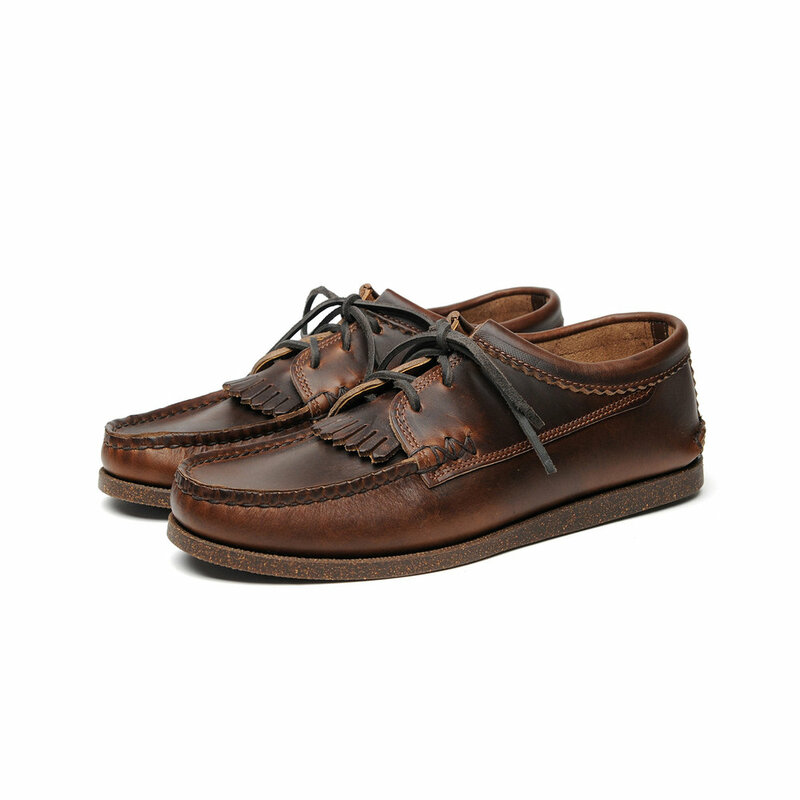 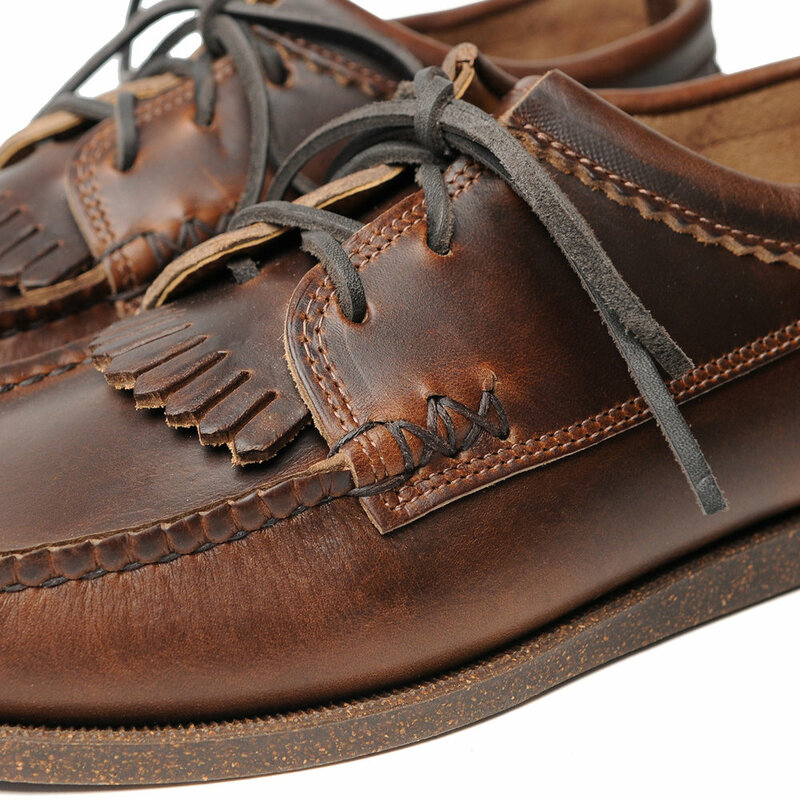 The three-eyelet, unlined shoe is made with Horween Chromexcel leather. 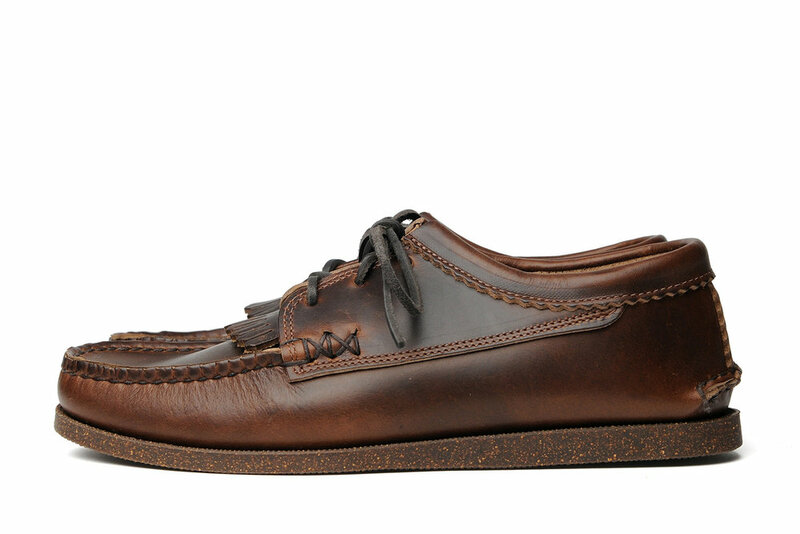 Chromexcel is a buttery, malleable 'pull-up' leather born of a unique double-tanning process of vegetable and chrome treatments, which imbues the leather with pleasantly aromatic liquor notes. 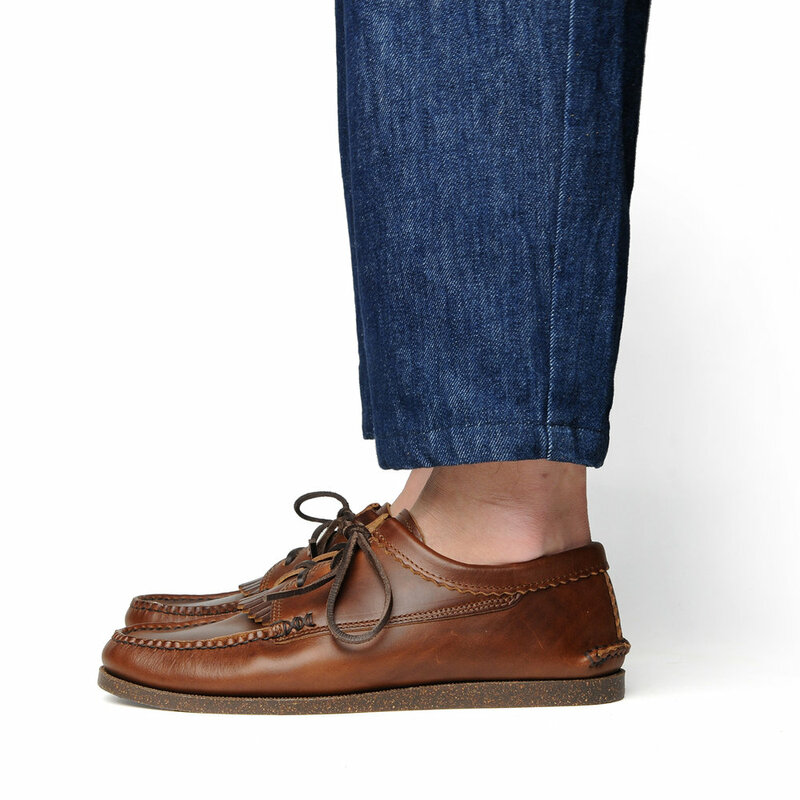 Its suppleness, revealing of lighter tones in its oiled surface when stretched, makes it particularly suitable for moccasin construction. 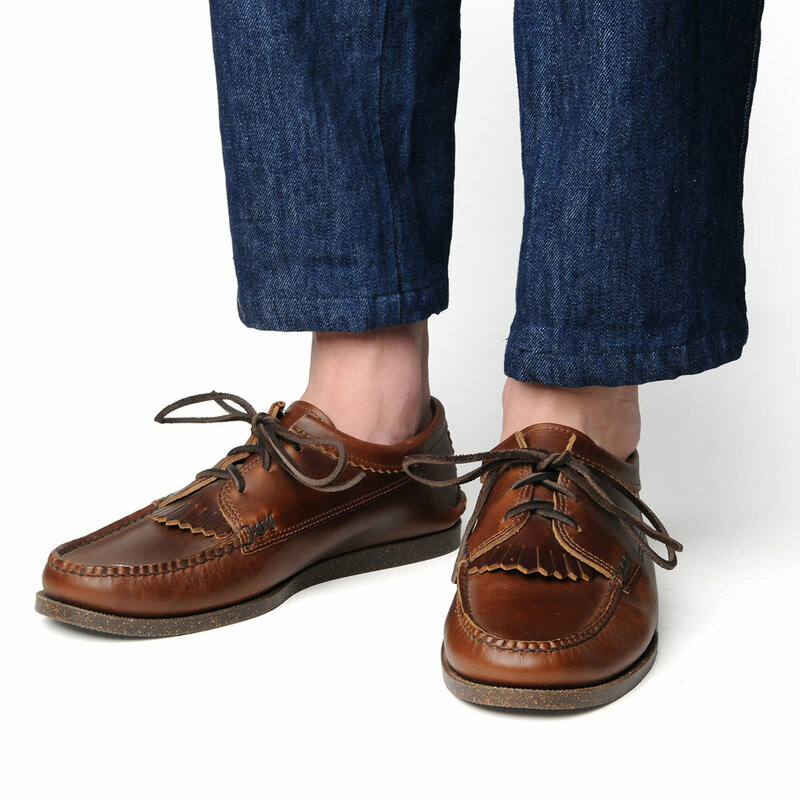 Important design details are the lace-in kiltie nestled under the blucher pieces, our signature baseball stitch overcast, and pinking decoration on the heel seam cover, all of which contribute a touch of elegance to this updated moccasin silhouette.